Sat Samen is an avid voter. But he worries about what his next vote might bring. “I vote every time,” the 40-year-old moto-taxi driver said while keeping an eagle eye out for his next fare across from Phnom Penh’s Freedom Park, the epicenter of the opposition CNRP’s defiant stand against the contested results of 2013’s national election. Since district security guards and masked men wielding axes and clubs raided the park on January 4, 2014, and drove out the opposition camp that had taken root, bringing months of protests to an abrupt end, the concrete expanse has grown derelict. Patches of weeds sprout from among the paving stones. Used-car salesmen use the quiet side streets to hawk their wares. The only camp left is a shabby community of vagrants set up around the public toilets on the park’s east end. But Mr. Samen fears the calm may not last. 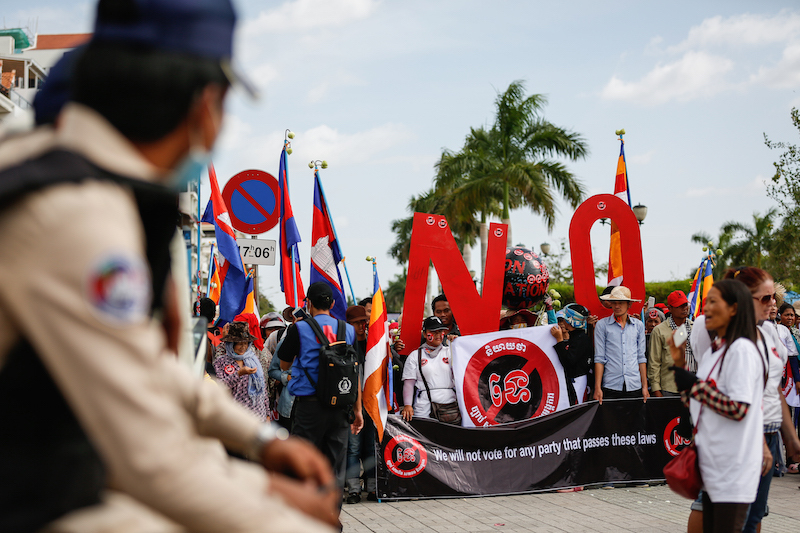 Cambodia’s commune elections have typically been a dull affair, a predictable romp for the long-ruling CPP and its vast party machinery in the face of a weak or divided opposition. But this Sunday’s running is shaping up to be something else. Buoyed by its surprising near-win in 2013, the CNRP, a resilient if awkward marriage of two smaller parties, is expected to give the CPP its toughest test yet in local elections. Breaking with tradition, Prime Minister Hun Sen—who pulls double duty as CPP president—plans to join a commune election rally himself today. He has also broken his usual vow of silence in the weeks leading up to polling day, another sign of how seriously he is taking this race. For the first time, he has seen the opposition mount campaign rallies heading into commune elections to match the CPP’s in size. “If the CNRP does well, I’m worried the other party might do something, but I don’t really know,” he said. What Mr. Samen understands, as both parties must, is that Sunday’s vote is about more than refilling 1,646 lowly commune councils. It has just about become a cliche to call Sunday’s vote a bellwether for the national election set for July 2018, the last, best measure of the country’s political mood just over a year out from the showdown for the grand prize. Analysts and observers say it’s not quite that simple. Different dynamics play out in local and national elections affecting who votes, and how. And a lot can happen in a year. But the results of Sunday’s vote will undoubtedly set the stage for the contest. The CPP and CNRP will take the results as a rough measure of their popular support and tweak their plans accordingly. For the opposition, wanting the levers of state power, that will mean more branding and targeted campaigns. For the ruling party, privy to a deep state and a sprawling party network, it will also mean recalibrating its well-worn playbook of rewards and repression. Analysts and observers agree that the CPP, if pushed far enough into a corner, could go so far as to disqualify the CNRP altogether. Sophal Ear, an associate professor of diplomacy and world affairs at Occidental College in Los Angeles, likened Sunday’s vote to a playoff match, only the opposite. Unlike next year’s contest for the National Assembly, there are no hard and fast rules on what it means to “win” local elections. In 2012, the two parties that later joined forces to form the CNRP won only 40 communes between them but drew a combined 31 percent of the popular vote. In the 2013 national election, the newly formed CNRP saw its share of the vote jump to nearly 45 percent. The CNRP says it’s aiming for upward of 60 percent of the vote on Sunday. But analysts and observers say the opposition would still be in strong position for next year if it finishes with a number somewhere between what it won in 2012 and 2013. “Corruption, infrastructure, environmental degradation and land management are issues equally important at the local and national level. So the CNRP should be able to translate a communal election ‘win’ into a general election ‘win,’” said Lee Morgenbesser, a research fellow at Australia’s Griffith University who has been watching Cambodia’s elections for many years. If anything, local elections are likely to inflate the CPP’s popular support heading into a national race. The ruling party has built much of its strength on the promise of ever more roads, schools and hospitals, things only it can deliver with its stranglehold of every government institution at all levels. 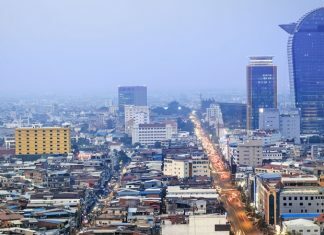 “Although funding for local projects depends on both local and national voting outcomes, that logic is stronger for local elections, so voters have stronger incentives to vote for the CPP locally than nationally,” said Astrid Noren-Nilsson, an associate senior lecturer at Sweden’s Lund University who has studied Cambodia’s politics extensively. “There is therefore likely to be a discrepancy between voting results elections this year and next, with the CNRP gaining a higher percentage of votes in national elections,” she said. Cham Bunthet, a political analyst and adviser to the minor Grassroots Democracy Party, said the relatively low voter turnout of past commune elections has also played in the CPP’s favor. 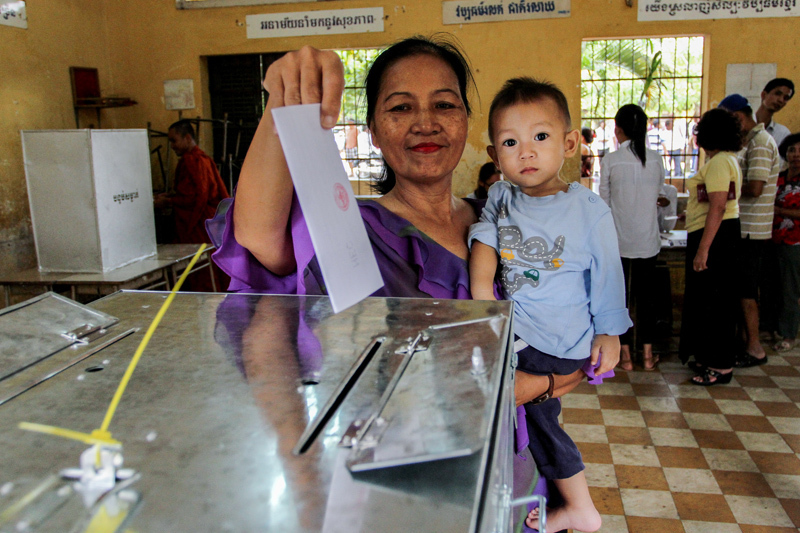 Cambodians living away from home for work or working abroad—groups popularly believed to swing in the opposition’s favor—are also less likely to come home to vote in local elections. Even so, the CPP is preparing for losses on Sunday. At a party meeting in Phnom Penh in March, it assured CPP commune councilors that the party would continue to match their lost wages if they were voted out. The month before that, a top CPP official urged government agencies to find them jobs. Rattled by its near-loss in 2013, the CPP’s response included adopting and adapting some of the CNRP’s more popular campaign promises, including some it attacked before the election. It raised civil servant salaries, bumped up garment sector wages, introduced a health insurance scheme for employees and moved to bring down fuel and power prices. If the CNRP does well on Sunday, the CPP might do the same over the next year. For these elections, the CNRP has anchored its campaign around the promise of showering each commune with an annual budget of $500,000, several times what they get now. To make good, the CNRP will, at the very least, have to take control of the national government. But Mr. Bunthet thinks that’s one promise even the CPP can’t deliver. The government has been talking about decentralizing for years, with little sign of progress. “I think that’s the problem the CPP’s facing right now. Because people at the…ministry level, sometimes they do not really listen to the prime minister, or they really do not have the strategy that would benefit the local, because that would affect their interest, because the interest up there is very huge, very large. I don’t think they would be able to manage to localize those resources to the bottom,” he said. “The CPP might adopt such a policy in the short term, but over time I suspect it will give way to more individualized patronage and repression. The ruling party does not appear to have the adaptive capacity to offer anything else,” Mr. Morgenbesser said. It’s possible that the CNRP ends up losing ground on Sunday, drawing less than the 31 percent of the popular vote its parent parties secured in 2012. Mr. Ear said that would likely bring on a “death spiral” for what has felt like a stormy union from the start. But he and others think that’s unlikely. More likely, they say, is that the opposition will either gain on its 2012 finish or roughly match its count in 2013. Hitting or topping an absolute majority could sent the CPP reeling. “A CNRP ‘win’ would be followed by heightened repression, most likely targeted at its leadership and using the court system,” Mr. Morgenbesser said. Already, several opposition figures, including two lawmakers, are behind bars on charges the CNRP and some rights groups consider politically motivated. Even more remain free but with dormant cases still hanging over them. CNRP President Kem Sokha received a royal pardon in December for a conviction for failing to show up for questioning in the prostitution case of an alleged mistress, after spending months evading arrest inside the party headquarters. But the Anti-Corruption Unit has yet to close the investigation born out of the mysteriously leaked audio recordings that sparked the case. Mr. Hun Sen has also returned to his election cycle fear-mongering with gusto, once again warning of war should his party lose power. But the truculent talk has lately taken on some extra kick. Last week, he said he was prepared to “eliminate 100 or 200 people” to prevent his overthrow and backed up his defense minister, General Tea Banh, who had just threatened to “smash the teeth” of any political opponents who dared contest the results of Sunday’s elections. Mr. Ear said the deaths the prime minister warned of were a deliberate reference to 1997, when military forces loyal to Mr. Hun Sen prevailed over a faction backing Funcinpec after two days of fighting in Phnom Penh. 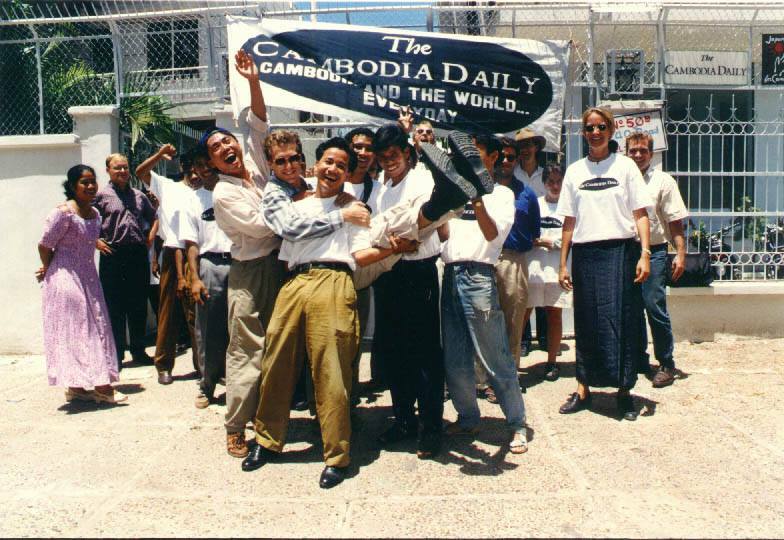 Funcinpec’s defeat effectively ended the power-sharing government Mr. Hun Sen had forced the royalist party into after refusing to accept the CPP’s defeat in the national election of 1993, which many consider to be the most free and fair Cambodia has had since the Khmer Rouge. There has never been a full account of the number of people who died in the fighting, but most accounts estimate a few hundred. Many think a return to war is unlikely. But should the CNRP win big on Sunday, Mr. Bunthet and the others said they could see the CPP taking other steps over the next year to secure its win in 2018: enticing a popular activist to start up a new party that might split the opposition vote; trying to split the CNRP from within; making it harder for migrant workers to come home to vote; applying pressure on the National Election Committee; or toying with the voter roll. And none of them ruled out the possibility that, should the CNRP win big enough on Sunday and hold on to the momentum, the CPP would disqualify the opposition outright. “Ultimately the failsafe for the CPP is the ability to dissolve the CNRP and simply secure another five years. I would not be surprised if this occurred, otherwise the recent amendments to the Law on Political Parties become somewhat pointless,” Mr. Morgenbesser said. Despite boycotts by the opposition, the CPP-dominated National Assembly and Senate passed amendments to the law earlier this year giving the Interior Ministry and Supreme Court sweeping new powers to indefinitely suspend and finally dissolve whole political parties over vaguely worded infractions. Sam Rainsy, for years the face of Cambodia’s opposition, resigned as CNRP president in February over his criminal convictions in hopes of saving the party from one of the law’s new snares before it even took effect. In the past, the fear of international censure and sanction might have been counted on to rein in the CPP’s more authoritarian tendencies. But growing ties with a rising superpower in China that models the one-party state and with a regional bloc in Asean that has made a mantra of non-interference, coupled with a new U.S. administration that seems to have pushed human rights down its list of strategic global interests, mean those shackles may be slipping. In Cambodia’s zero-sum politics, Mr. Bunthet said, the CPP’s fears are also existential. And he puts at least a bit of the blame on the CNRP. 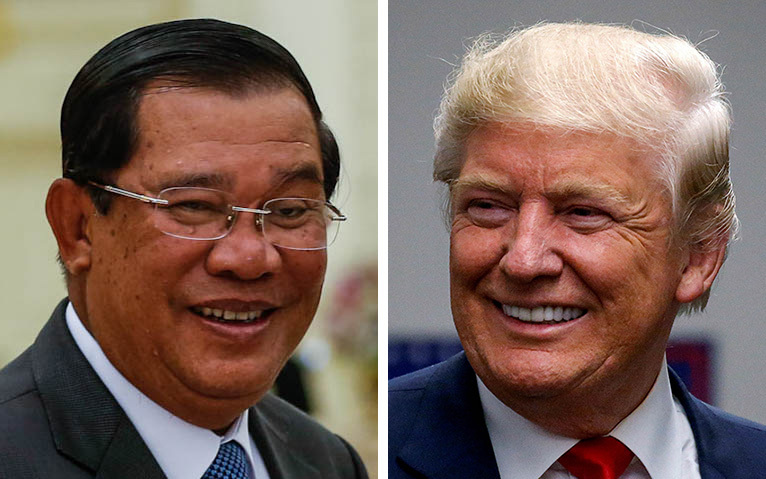 During a campaign swing through northwest Cambodia last week, Mr. Sokha promised peace for “winners and losers” alike if the opposition won. But Mr. Bunthet said CNRP activists, even some party officials, were still pandering to racial enmities with Vietnam, an especially sore point for the CPP, which Hanoi installed and entrenched in the 1980s. In the end, Mr. Bunthet believes that between Sunday and July of next year, the CPP will do whatever it takes to stay in power.